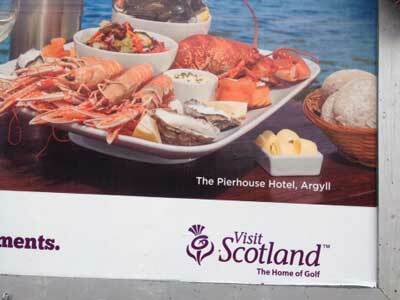 Thanks to Visit Scotland for using The Pierhouse Hotel seafood restaurant in their nationwide Ryder Cup 2014 PR poster campaign. This specific poster was spotted at Perth Railway Station! 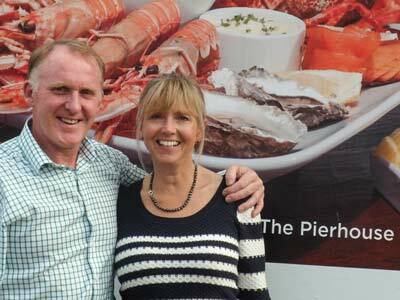 We were approached by Visit Scotland earlier this summer. They wanted to feature our fresh, locally sourced seafood in their nationwide advertising campaign in support of The Ryder Cup which was held at Gleneagles last week. 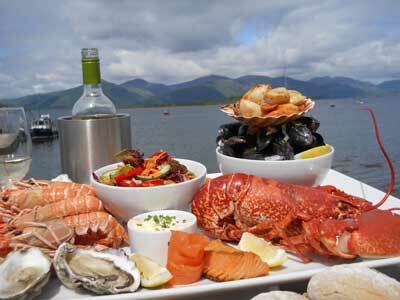 We of course agreed to the photoshoot and Head Chef Laura prepared a grand seafood platter with lobster, langoustines, scallops, mussels, oysters and salmon. 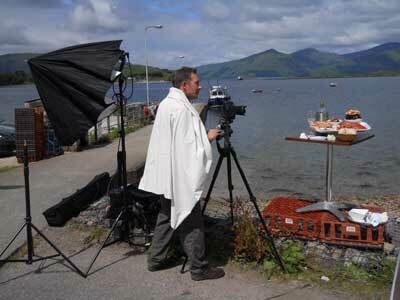 The photographer was keen to take the shots outside on the pier - quite rightly making use of the stunning loch and hill views as the backdrop to the poster shot. We took a few snaps of the photographer at work.....but we were sworn to secrecy until the Ryder Cup 2014 advertising campaign was launched. 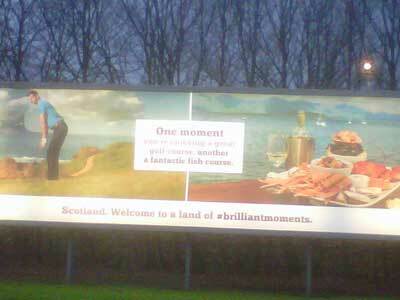 And here it is.....this Visit Scotland poster was spotted at Perth train station and we've also heard that the photo has been used in other Visit Scotland material. The poster is so big, the photo taken on a phone only captures part of it! 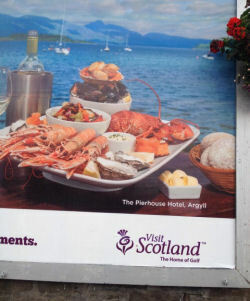 We're delighted to see the poster campaign as it not only promotes The Pierhouse but also gets over the message about the high quality and abundance of our west coast seafood and how beautiful Port Appin and Argyll is. Good news all round! If you spot 'our' poster - take a photo of it or let us know where ! Lets see how many we can spot around the country.